Skyler Electric Company employs over 200 of the industry’s best trained professionals. Our Sales, Engineering, Installation, Quality Assurance, and Project Management staff provide you with the best choice for your Telecom and Standby Power needs. We proudly service the Western United States as well as Alaska and Hawaii. We Engineer, Furnish, and Install Flooded and VRLA batteries from top domestic and foreign manufacturers for Telecom, Utility Switchgear, UPS, and Solar applications. 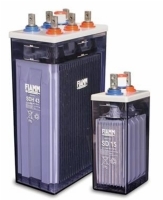 We know batteries and we know which ones will perform best in your specific environment and within your budget. Our DC Power Engineering department is qualified to handle virtually any size project from $5k to $50M; 24v cell site to a 130v utility power plant, or a 480v UPS financial data facility. Engineering services include: battery system sizing application engineering & layout, equipment & material detail engineering, cable management structures, seismic support, and Complex buss networks. As-Built drawing changes, additions, and removal CAD drawings are available in all sizes. The owner and employees of Skyler Electric have been provisioning dc Power for over 20 years. Staffed with sales, engineering, installation, quality assurance, and project management professionals, there is no better choice for dc power provisioning than Skyler Electric Company. Our lead, Index 4 installers have spent a minimum of 6 years in training and have the experience and knowledge to manage all aspects of power provisioning including grounding. We have provisioned complete dc power systems for 24 volt cellular, 48 volt central office up to 10,000 Amps, 130v utility switch-gear, and up to 540v UPS data centers including Zone 4 structural support, copper buss network termination, power distribution, BDFBs and power boards. Telecommunications, power utilities, data & financial, health care, and aviation all depend on reliable backup. Whether you need acceptance testing on new batteries or you want to know the reliability of an aging system, load testing is the only reliable method. Our state of the art equipment tests any size string up to 256 cells by performing constant current capacity and power capacity tests, and supports UPS testing using DC load banks, and supports run-down testing using system load. Scheduled maintenance contracts are intended to get the maximum performance and extended life from your battery system. Depending on battery type, size, and application, we’ll recommend either a quarterly, semi-annual or annual maintenance plan where we'll perform visual inspections, electronic testing, general cleanup, and provide written reports that will provide baseline data for warranty and timely budget planning. Skyler Electric Company is passionate about responsible recycling of spent batteries. We recycle hundreds of thousand of pounds of spent batteries each year with The Doe Run Company in Boss, MO. and Kinsbursky Bros, in Southern California. Both operate one of the worldâ€™s largest recycling lead smelters. Trust that your spent batteries will be properly recycled and if needed, weâ€™ll provide you with a Certificate of Recycling. We're experienced in sizing and installing all types of Spill Containment whether for new installations or retrofits for existing batteries. We have spill containment solutions for Relay Rack mounted batteries, cabinet systems, or open rack systems with Epoxy-floor coating or Liners with Pillows for flooded and VRLA batteries. Contact us for more information on which system is right for your job. It's our mission to provide you with a way to ensure power quality, prevent an outage, ensure energy efficiency, and improve system reliability, while reducing costs. Our UPS products and services deliver the best power quality solution for backup power protection and power quality management for NT workstations to mission-critical applications such as data centers, server farms, and transportation facilities. We'll size and provide the perfect UPS that meets your specific requirements and virtually eliminates all 9 known power quality problems. We offer both "low cost, economical" as well as "best quality" Flooded and VRLA solutions from virtually every domestic and foreign manufacturer for use in -24v, -48v, 130v, and up to 540v applications. Our experienced staff can recommend the correct voltage and battery type for any application and environment that meets your budget. 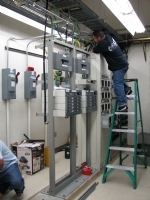 We install, remove, and rearrange all Telecomm and DC Power Equipment in the Central Office, Outside Plant, Cellular, Utility, and UPS environments. 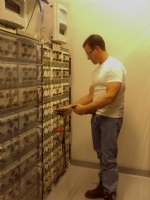 Skyler Electric employs Level I through IV technicians trained to install and test power equipment and batteries from virtually all major manufacturers including Lineage (Tyco/Lucent/PECO), Emerson Network Power (Marconi/Loraine), and Eltek-Valere, C&D, DEKA, Fiamm, Enersys, and Exide/GNB. We work in accordance with Telcordia (Belcore) practices and UBC, UFC, IEEE and customer standards of quality. We have over 40,000 square feet in Grass Valley, Huntington Beach, CA., and Bellvue, WA. Our facilities are perfect for warehousing, system integration, battery charging and training. We also provide other services such as: Grounding Surveys, Emergency Response, Solar Surveys, Power Audits, and Warehousing & Transportation. Contact us for more information. Interested in something you don't see here? Contact us, we are more than happy to answer any questions you might have.